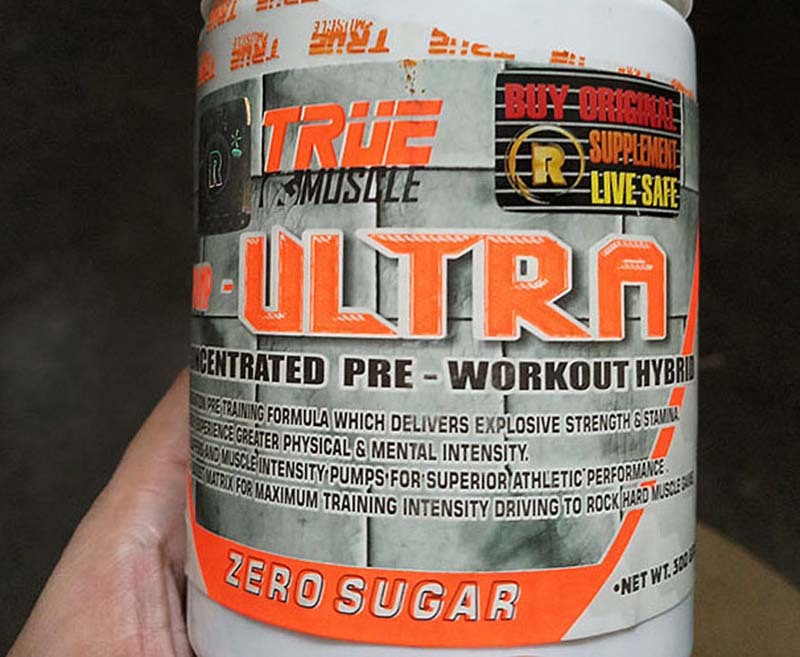 I recently finished using ” True Pump pre workout ” by True Muscle and this is a short review of how I found this product to be. From an overall point of view, I must say that that the results were quite satisfactory and this is a product that I will recommend using to anyone looking for a good pre workout supplement. I was actually trying to lose weight when I started using this product. I was out of gym for a few months and had recently quit smoking. With all the over eating to make up for no cigarettes; and no gym as well; I gained tremendous amount of weight within a few months. I thought little about it though because my main focus at that time was to ensure that I don’t go back to smoking once again. After about 6 months and no cigarettes still, I now changed my attention to getting my weight back under control. To stop myself from munching all the time, I started on an 18 hours intermittent fasting schedule. It however also meant that even my time spent in running and walking was a fasted workout. This gets really difficult. When you haven’t eaten for several hours, then even walking 1 kilometer becomes a challenge. And this is when I bought the True Pump Pre Workout supplement. To be honest, I was very and pleasantly surprised with the results. My cardio at that time involved walking / jogging / running for 15 kilometers a day; after a several hours long fast. I used to take one scoop of the pre workout about half hour before the workout and would hardly feel the hunger at all. It is a good supplement that can keep you energetic and pumped for a good 2 hours and give you that additional time and reps in the gym. There were no side effects really. In the first few days, I felt a little jittery but that happens with almost every pre workout or fat burner. After a few days, once my body got accustomed to it, the jittery feeling was gone. Do note though that once you consume this product, you will ensure that you workout and do some physical activity. If you just sit at home, you will start to feel a little itchy all over. Do not also consume this product at least 3 hours before bed time else you will find it hard to go to sleep. I bought it for Rs. 2,500 from a friend who runs a supplement shop. This price these day is mostly standard for all good supplements so nothing to complain on that side as well. In the end, I will say that it is a good supplement that gives the results promised. It will keep you pumped and energetic and give that additional time in the gym before you tire yourself. For anyone wanting to lose weight, it can help keep you full and away from more food. I hope the information above was of help. If you have any other questions, please feel free to ask in the comments section below; or at our Community Forum; and I will be glad to answer.